It's been so hot, even though it's still June! What is your favorite things to do on a hot day? I like water melon, too! 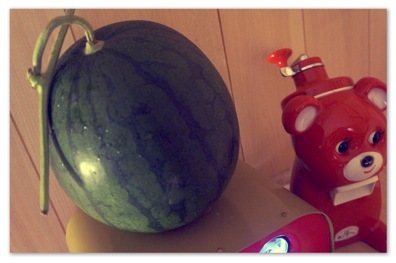 At night of the summer day you ate water melon like full moon, you may meet Mr. Moonlight!